Commercial TV viewing in the UK increased by one minute per day year on year over the first half of 2016 boosted by BBC Three moving to online only. It is also an increase of seven minutes per day compared with ten years ago, according to Thinkbox, which has used data from Barb. Although when including BBC channels it is not the same positive picture. Total TV viewing between January and June fell by two minutes to three hours and 34 minutes a day. The weekly reach for TV was stable at 93.8% of the UK and on average 86% of TV viewing was live. Additional TV viewing, which includes people watching TV on other devices such as a mobile device at any time and place, totalled eight minutes. This increased the overall viewing figure by eight minutes to three hours and 42 minutes. 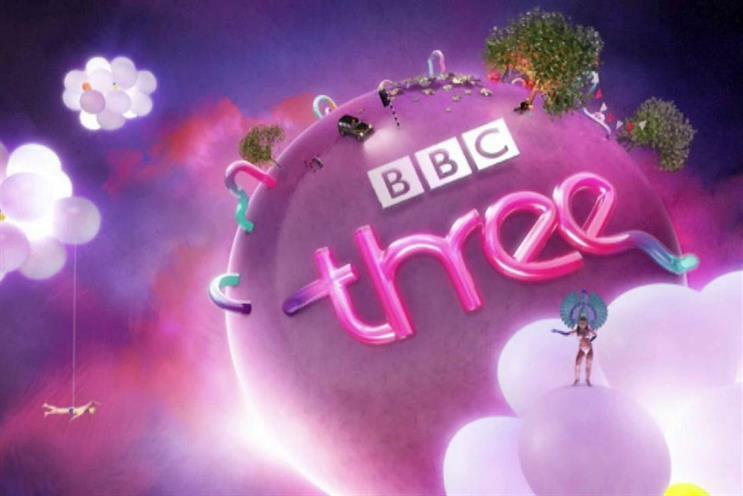 Thinkbox said that the closure of BBC Three on broadcast TV in February is "partly responsible" for the rise in commercial TV viewing and drop across BBC channels. Between March and May, BBC broadcast TV viewing declined 8%, or 5.6 minutes a day, compared with the same period last year, according to BBC figures. However, the drop in 16- to 34-year-olds, the core BBC audience, tuning into BBC TV plummeted 18%, or 6.2 minutes a day. @mediaguardian figures skewed to meet the story. One minute Jan to Jun, then Mar to May, then Mar to Jun. AND @bbcthree isn't a TV channel! @mediaguardian doesn't include smartphones or laptops which over 90% of 16-34s own. Total TV viewing from January until June among the demographic fell by an average of three minutes a day year on year to two hours and 20 minutes a day. Although on commercial TV, there was a rise of one minute a day to an average of one hour, 49 minutes. The Thinkbox research noted: "With iPlayer viewing flat across the same period as reported in the latest iPlayer performance pack, it appears that the BBC has lost the viewing BBC Three previously provided. This underlines the continued importance of having a broadcast TV channel alongside an online [video-on-demand] service." BBC Three defended the figures saying that it is not a TV channel and has "shifted focus" to original British content instead of US shows such as Family Guy. A spokesman added: "Since the move BBC Three has increased its share of BBC iPlayer from 4% of all requests and now reaches as high as 11%, from fewer shows. The most requested show on BBC iPlayer this year is BBC Three’s Thirteen and BBC Three has seven of the top 20 most requested programmes from the BBC. "BBC Three has also doubled its YouTube subscribers and increased view time threefold and is also increasing its output on social media, Things People With Down's Syndrome Are Tired Of Hearing achieved 109,000 likes, 12 million views, 195,000 shares and 6,500 comments on Facebook alone. It’s a different ball game." The research added that ITV2, a competitor to BBC Three, had a 27% rise year on year in viewing between March and June, boosted by Love Island and Family Guy. The latter was previously a BBC Three show. BBC Three’s strategy to move online is the opposite to that of Vice Media, the youth-oriented brand, which is launching a TV channel called Viceland on Sky next month. Matt Hill, research and planning director at Thinkbox, said: "TV is thriving on all screens, but the importance of TV channels on TV sets cannot be overlooked. They remain the first port of call for the majority of people of all ages. "The apparent boost that commercial TV has received from BBC Three’s disappearance from the schedules underlines this fact – a strategy that is in stark contrast to the imminent arrival of Viceland on commercial TV."